Country, they say, comes from real life; the richer that life, the more the singer can draw from the well. 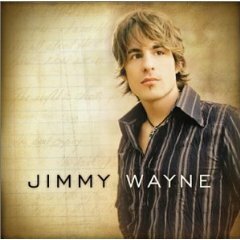 If that's true, then it's an ocean of hard times and triumph that feeds the music of Jimmy Wayne. 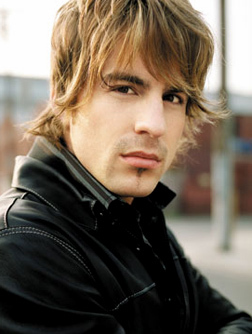 From emotional abuse and real violence, Jimmy Wayne has weathered them both. Born October 23, 1972, his father abandoned the family when Wayne was a toddler, and his mother was in and out of prison twice. On his 15th birthday he saw his stepfather shoot his stepsister three times, paralyzing her, and survived a murder attempt by the same man. He entered, and then ran from, a county home and became a homeless youth who did what he had to to survive on the street. His encounter with a neighborhood couple led them to give him a job and a place to live, and created the pillars of his final foster family. With Beatrice and Russell Costner, Wayne was able for the first time to indulge his love of music, which included Hall & Oates, Alan Jackson, Lionel Richie, Ronnie Milsap, Iron Maiden, Queensrÿche, and Judas Priest. He formed his first band, called Fantasyche, and began taking music seriously. When Beatrice died, Wayne finished high school and became a prison guard at the Gaston Correctional Facility. An inmate who made an anti-drug presentation using a guitar during a school assembly had influenced him greatly. Wayne visited the inmate for songwriting advice and went to work at the prison while studying criminal justice at a local community college. After finishing his associate's degree, he left North Carolina for Nashville. For three years, he worked at Acuff-Rose writing songs alongside Dean Dillon and Whitey Shafer, while polishing his playing and singing skills. During this time he co-wrote Tracy Byrd's Top Ten smash "Put Your Hand in Mine," with Skip Ewing. Wayne signed his own deal with DreamWorks Nashville in 2001. 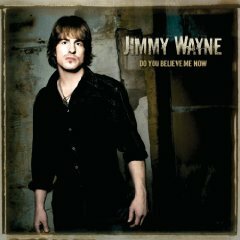 Wayne's debut was issued in June of 2003 and placed a single in the Top Ten before release. "Stay Gone" was a Billboard country hit. It was followed by "Paper Angels," a narrative of Wayne's own life in the street and those he encountered there, "Blue and Brown," about an encounter with a foster brother who became an inmate at the prison where Wayne worked, and a devastatingly honest revenge fantasy entitled "The Rabbit." When asked what has brought him this far, Jimmy doesn't mention his voice or his energetic stage show. He brings it all back to the songs. "I think it's just the fact that I tell the truth," he says of his music's appeal. "People love to hear somebody stand on the stage and sing something that's real. I give the people that come with their hard earned money a hundred percent of everything that I could possibly give them. It's clear to me that what I've experienced, I've experienced for a reason and maybe that's my calling is to tell that story. This is it. I don't have a Plan B."